Unless you’ve been living under a rock, or maybe in a cave somewhere, you know that Pokémon GO has become a worldwide cultural phenomenon. In the two weeks since its release, not only has it has become the biggest mobile game in US history, it has also helped double Nintendo’s stock price. Despite a bumpy start, on the surface, everything seems great. Except it’s not. I’ve been frequenting the Pokémon GO sub over on Reddit since the game’s launch. For the most part, the community there has been fun and taken various server issues and other bugs in stride understanding that games are often released with issues but that those issues are addressed and life continues. However, yesterday things seemed to take a turn for the toxic. While I’m not completely sure, I believe a lot of the hostility on Reddit stems from two things: an update to the game, and Niantic’s silence on various problems with the game. 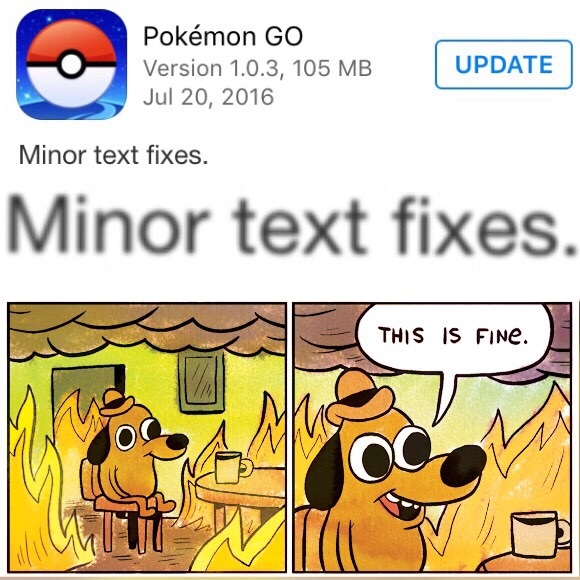 While many players had hoped that the next update would contain some serious bug fixes, they were instead treated to an update that addresses “minor text fixes.” Yep, “minor text fixes” is what Niantic, felt compelled to release without mentioning anything else. Once the update was live, the threads over on Reddit started. BREAKING: Loading bar now gets a little further before freezing! Niantic, your silence is unacceptable. Finally Niantic gets it together. And my personal favorite, Can we stop mincing words? Niantic: You’re royally blowing it. Feelings ranged from anger, to urging patience with Niantic, to everything in between, but it makes me wonder how these issues actually affecting users in the real world. A few days after Pokémon GO launched, I went to the city library on my lunch break for a bit to play the game and see what I could catch. I was not the only one with this idea. Two city blocks were packed with people playing the game, dropping lures, and chatting with complete strangers about Pokémon. A few days ago, I went to the same location, at about the same time, and found it almost desolate. Sure, there were some people playing the game, but they were vastly outnumbered by homeless people sleeping in the shade. Where have all the Pokémon trainers gone? Have all of the bugs and server issues caused the casual players given up? Have they simply grown tired of trying to play, but not being able to? And what about the die-hard Pokémon fans? Are they done with trying to play, only to get burned over and over? Or maybe, they’re just waiting until Niantic comes out and says acknowledges the numerous issues? At this point, I’m not really sure. Considering though how much money this game has already made, I can’t imagine that people are gone for good; however, I suppose that time will tell. Niantic will be presenting at San Diego Comic Con later today. Hopefully some answers will come then. 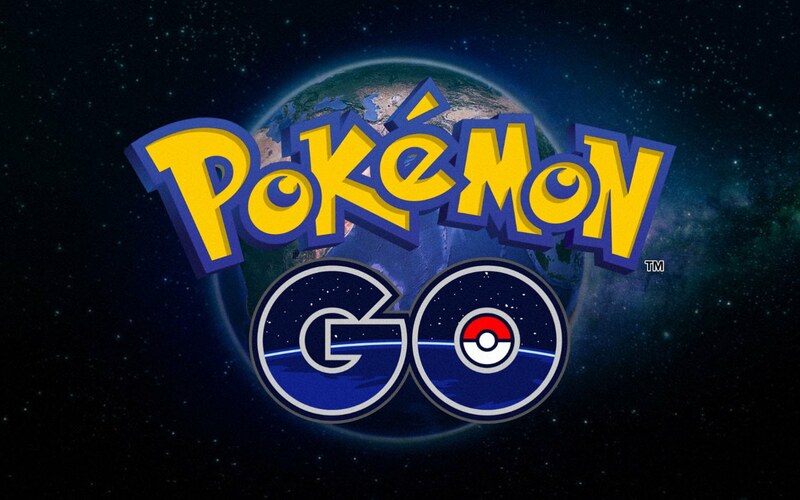 So tell us, what has your experience with Pokémon GO been like? Are you still playing? Have you noticed a drop-off of players in your area? Let us know in the comments.